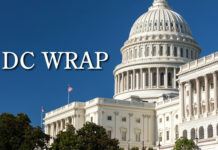 NOTE: DC Wrap will not be sent out over the next two weeks due to the congressional spring recess. It will return at the end of April. Thanks for reading! Students deserve a fair shot at the middle class, not a multi-decade debt sentence. – U.S. Rep. Mark Pocan, D-Town of Vermont, in a statement reintroducing his “Student Loan Refinancing Act” that would let anyone with certain federal student loans refinance them whenever a lower rate is available. As our hearing last week clearly demonstrated, we have a crisis at our southwest border. We need steady, informed and effective leadership in the administration and in Congress to have any hope of fixing our out of control border security and immigration problems. – U.S. Sen. Ron Johnson, R-Oshkosh, said in a statement following the resignation of Department of Homeland Security Secretary Kirstjen Nielsen. Johnson is chairman of the Senate Homeland Security and Governmental Affairs Committee, which held a hearing last Thursday to examine current migration challenges at the U.S. southern border, policies affecting migration flows and potential solutions. DHS Sec. Kirstjen Nielsen’s resignation brings a great sense of relief. However, the sad truth is she probably didn’t put enough children in cages or served enough lies to Congress to satisfy this Administration. – U.S. Rep. Gwen Moore, D-Milwaukee, in a tweet responding to news of Nielsen’s resignation. — U.S. Rep. Jim Sensenbrenner is touting his ranking as the most conservative member of the state’s congressional delegation, saying he’s been a “consistently conservative voice” in the House. The Menomonee Falls Republican and dean of the state’s delegation received a 96 percent rating from the American Conservative Union Foundation for his votes on key legislation last year — the highest score in the 10-member delegation. Other top Wisconsin finishers were: U.S. Sen. Ron Johnson, R-Oshkosh, at 95 percent; U.S. Rep. Mike Gallagher, R-Green Bay, at 92 percent; U.S. Rep. Glenn Grothman, R-Glenbeulah, at 88 percent; and U.S. Rep. Sean Duffy, R-Wausau, at 76 percent. In all, more than 50 members of the House this year scored between 90 and 100 percent, including Sensenbrenner and Gallagher. In 2017, Sensenbrenner also ranked highest among his Wisconsin counterparts, receiving a 100 percent score. Then-House Speaker Paul Ryan, who rarely voted, didn’t receive a score in 2017 or 2018. The Wisconsin congressional Dems, meanwhile, largely finished with a single-digit score in both 2018 and 2017. This past year, U.S. Rep. Mark Pocan, D-Town of Vermont, finished with a 4 percent score, the lowest in the state, while U.S. Rep. Ron Kind, D-La Crosse, got 13 percent. “Taxpayer money shouldn’t be spent to support foreign workers or foreign components,” she said in a press call Wednesday morning hosted by the Alliance for American Manufacturing. Baldwin’s Dem-backed “Made in America Act” would have required all construction materials in public infrastructure projects to be made in the U.S. Although it stalled in the Senate last year, the Madison Dem said she plans to reintroduce the bill later this session. While Baldwin acknowledged President Trump signed several “Buy-American” executive orders over his tenure, she slammed them as “toothless” compared to her plan. The poll, conducted by the Mellman Group and Public Opinion Strategies, showed about 80 percent of those polled prioritize rebuilding infrastructure and using American workers and products to do it. Their responses followed a question asking what priorities out of a list of options are ones that Congress and the president should work on. The poll was conducted March 20-28, and included a survey of 1,200 likely 2020 general election voters — Republicans, Democrats and Independents — spread throughout the U.S. proportionally to the electorate. Seventy-five percent of respondents were reached by phone, 52 percent of which were on cell phones. Twenty-five percent of those surveyed answered online. The poll has a margin of error of plus or minus 2.8 percent points. — The new Marquette University Law School poll found little movement in President Trump’s job approval numbers. *39 percent said the Mueller investigation cleared Trump of wrongdoing, while 54 percent said questions still exist about the president’s behavior. *voters were split at 45-45 if Trump obstructed Mueller’s investigation. *35 percent believe Trump’s campaign colluded with Russia to influence the 2016 election, while 53 percent don’t. The poll of 800 registered voters was conducted April 3-7. The margin of error was plus or minus 4 percentage points. See more from the results. — U.S. Rep. Ron Kind has introduced a bipartisan bill that aims to lower Medicare Advantage plan premiums for seniors. 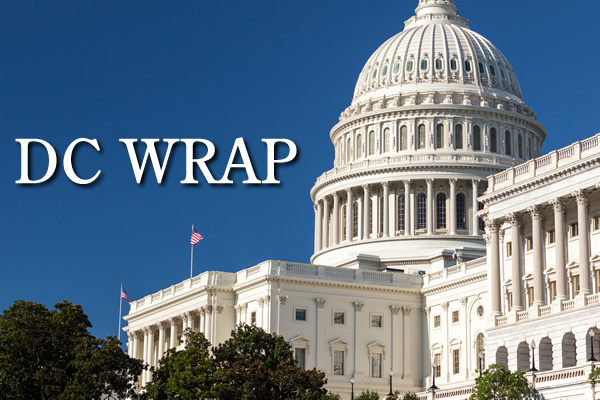 “I am proud to work together to introduce this bipartisan fix to ensure Medicare Advantage beneficiaries have access to high-quality, affordable health care plan options,” Kind said. The La Crosse Dem introduced the bill alongside Reps. Mike Doyle, D-Pa., Mike Kelly, R-Pa., and Brett Guthrie, R-Ky. According to a release from Kind’s office, Wisconsin seniors lost out on $51 million in reduced premiums or increased premiums last year, due to the U.S. Department of Health and Human Services enacting “benchmark caps” on quality bonus payments. The release shows those caps result in the highest-quality plans not receiving quality incentive payments. Citing an estimate from the Congressional Budget Office, the release shows Wisconsin is set to miss out on $180 million in quality incentives over the next three years under current law. If the new Medicare Advantage Quality Payment Relief Act were enacted, Kind’s office says counties in western and northern Wisconsin would benefit the most. Security Health Plan, part of Marshfield Clinic Health System, says it could reduce its Medicare Advantage premium by $25 per month for beneficiaries in the state under this bill. Great to hear from folks in the Coulee Region this morning about why it's so important to protect Wisconsinites with pre-existing conditions. With over 2.5 million people living with pre-existing conditions in our state, the need to strengthen and defend our health care from this Administration's attacks couldn't be more important. Hear my thoughts and the personal stories of fellow Wisconsinites on tonight's news! The Hermione transformation is complete.